Kory Edward Sessions, 30, of Spring Hill, was charged with misuse of 911, child neglect, resisting a deputy with violence, and battery on a law enforcement officer. 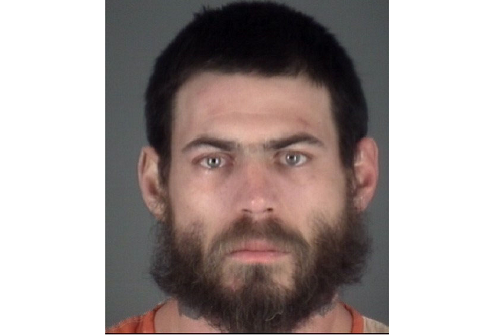 Pasco County sheriff’s deputies said they answered an “unverified” call to 911 about 4:09 a.m. Tuesday (March 5). When they arrived at the home in Spring Hill, they said they spoke with Sessions who appeared to be on some type of drug. As deputies started to arrest him, they said, Sessions grabbed the infant and tried to run out of the house. He was stopped, but began to fight deputies with the baby in his hands. Deputies said the mother grabbed the child while Sessions continued fighting them. Sessions bit, kicked, and punched multiple deputies during the struggle and refused to obey their commands. Two deputies were injured while they were subduing Sessions. No information was available on the deputies’ condition. The mother grabbed the child while he continued to bite, punch and kick law officers, Pasco deputies said. I didn't even need to read this before the word Florida popped in my mind. I doubt it'll happen, but hopefully the baby's mother keeps dummy far away from the child. Do you know how hard it is to fight with a baby in your arms???? Man, I have three kids and just trying to grab the phone or pick up the mail with a wiggly, bobbleheaded, squishy baby was hard enough. Dude looks like a biter.